All of our arbitrators have undergone training to arbitrate disputes under the FLAGS (Family Law Arbitration Group Scotland) scheme. You can search for an arbitrator by reference to their professional training – some of us are solicitors, some counsel and some former members of the judiciary. Alternatively you can search by geographic area if you are looking to instruct an arbitrator local to you. 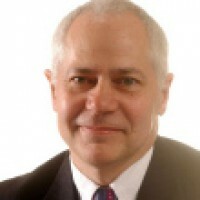 Head of the Family Law Team and Partner, Alasdair is an authority on Child Law. He is accredited by the Law Society of Scotland in Family Law and Child Law and was one of the first solicitors in Scotland to be trained in Collaborative process. He is also a Family Law Arbitrator. Alasdair is a member of the Family Law Association. Shona has practiced in the field of Family Law for over 20 years. She heads up the Family Law Team at Balfour+Manson, is credited as a Family Law Specialist by the Law Society of Scotland, and is also a Collaborative Practitioner. Shona was part of the initial small group who took steps to introduce specialist family law arbitration to Scotland. She continues to be a committee member of FLAGS and is in addition the organisation’s treasurer. She has since the outset been committed to ensuring that clients have the option of choosing their own family law specialist as the decision maker in their circumstances, whether that be all issues surrounding their separation or an impasse in relation to one discreet aspect. Cath Karlin is a leading family law specialist and has been a pioneer for positive changes in family law. She firmly believes that you can divorce with dignity and is committed to help you minimise the fallout to you and your children that divorce and separation so often brings. 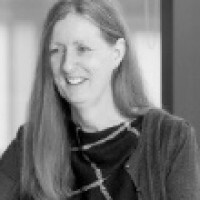 Cath has all round expertise in all dispute resolution models from litigation to Arbitration, Mediation and Collaborative Practice. Her focus is on enabling her clients to make future focused decisions, helping them to tailor settlements to suit their own unique set of circumstances and providing commercial yet compassionate value driven advice. Kirsty has been in practice for 25 years; 17 years as a solicitor and 8 years as an advocate. She was accredited by the Law Society as a specialist in family law and trained as a collaborative practitioner. She continues to focus on family law in practice at the Bar. In recent years Kirsty has been involved in cases defining the law in this area, most notably in relation to cohabitation and pensions on divorce. The majority of her work deals with financial provision on divorce or after cohabitation, but she is also active in child law cases. Iain qualified in 1979. He is an accredited specialist in Family Law (1994), Family Law Mediator (1998), trained in Collaborative Law (2006) and family Arbitrator since 2011. Patience and Buchan are an award winning niche practice providing expert advice and assistance in all areas of family law, with particular expertise in high value cases and disputes involving children. Alastair has specialised in Child & Family Law for the past 25 years and joined Balfour+Manson’s Family Law Team at the start of 2009. His interests lie primarily in the field of financial provision cases. He formerly tutored in Family Law in the PCC Course run by the WS Society and is accredited by the Law Society of Scotland as a specialist in the field of Family Law. In addition to Family Law, he has extensive experience in the fields of criminal and regulatory law and was admitted as a Solicitor Advocate in May 2011. Shona is a family law solicitor working in a specialist family law firm. She qualified in 1988. She is accredited by the Law Society of Scotland as a specialist in Family Law and as a Family Mediator. Shona is trained in collaborative practice. She trained as a Family Law Arbitrator in 2011. She now sits on the National Committee. She was involved in setting up the website for the “therightkindofdivorce.com”. Please see the MTM website for additional information. Martin is an accredited specialist in Family Law and has been appearing in Family Law courts on a very regular basis since 1991. 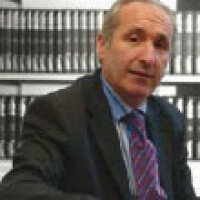 He also has considerable experience with Guardianship disputes in terms of the Adults with Incapacity (Scotland) Act 2000 and in particular those with family law aspects. 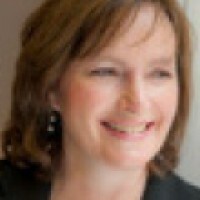 Fiona is a partner with Macleod & MacCallum, Inverness. She has 25 years' experience working with separating families and has a particular interest in alternative methods of dealing with the many issues which arise as a result of separation or divorce. Family Law Arbitration offers parties the opportunity of having disputes determined in an efficient manner by an Arbitrator who is an expert in Family Law. Given that two Sheriff Courts in Highland have recently closed, Fiona believes arbitration is a real and robust alternative to litigating through the Sheriff Court. She is also an accredited Family Law Mediator. 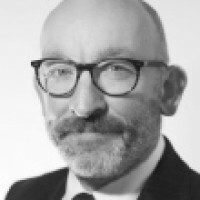 Stephen has 35 years of experience in family law and is a Law Society Accredited Specialist, he is an Accredited Mediator and also a collaborative lawyer. He sits on the Family Law Committee of the Law Society and the Scottish Civil Justice Council. He has been a part-time Judge in the Tribunal system since 1986. Stephen will take a skilled and experienced view of issues and come to a practical, considerate decision on issues. Robert is a director at SKO Family, Edinburgh. As well as being a FLAGS arbitrator he is accredited by the Law Society of Scotland as a family law mediator and family law specialist. Robert's practice covers the full range of family matters including financial and child related issues. As a solicitor with extensive advocacy experience Robert brings to bear a combination of a sharp understanding of the needs of the client together with a clear and focussed approach to the arbitration process itself. Kate called to the Bar in 2000 taking silk in 2013. Her experience in financial provision on divorce extends to high value claims. Kate is experienced in dealing with claims by cohabitants under sections 28 and 29 of the Family Law Act. In her work relating to children, Kate deals with adoption and permanence order cases, referral proceedings, and contact and residence disputes as well as Hague Convention applications. Kate regularly appears in the Court of Session and Sheriff Court as well as before Sheriffs Principal, the Inner House and the UK Supreme Court. Kate is also instructed in professional negligence claims and is a Family Law Arbitrator. Frank called to the Bar in 2006, prior to that he was a solicitor in private practice, latterly a partner in Kerr & Co (now Kerr Stirling), based in Stirling. He has a general civil practice at the Bar, with a particular focus on family and property law. Of particular significance in his practice is where the areas of family and property combine. Frank is located in the Stirling area, but practises across Scotland. Jennifer Colledge was accredited as a Family Law Specialist by The Law Society in 2004. 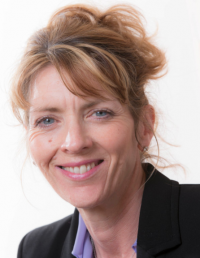 She is currently the only Accredited Family Law Specialist practising as a Solicitor in Dumfries and Galloway and is a partner in the region’s only Family Law Practice. Jennifer has substantial court experience. She has conducted many Proofs in relation to complex family law matters, including cases to do with farming businesses; contentious financial provision and relocation. She is frequently in Court with Counsel on the other side of her cases. She is regularly appointed to prepare Bar Reports. Jennifer has developed a keen interest in ADR. She has trained as a Collaborative Family Lawyer and was appointed as a FLAGS Arbitrator in July 2015. 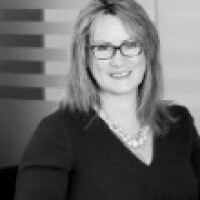 Sharon is a respected specialist family lawyer of many years standing who holds the confidence and trust of clients and peers in delivering sensible and pragmatic outcomes whilst recognising that confidentiality and sensitivity in emotionally charged environments calls for careful and considered handling. As a trained collaborative lawyer, experienced litigator and advisor , she brings the ideal skill set to any arbitration environment. Sharon is FLAGS Edinburgh pod leader. Scott specialises in Child and Family Law at the Scottish Bar. He is regularly instructed to advise and represent in matters such as financial provision on divorce and cessation of cohabitation, international child abduction, contact and residence disputes, particularly those with an international element and involving child relocation, permanence and adoption orders, the recognition and enforcement of foreign judgements as relating to family law and matters raising questions of jurisdiction. Scott sits on the Committee of the Advocates Family Law Association and the Board of Family Mediation Lothian. He is also a regular speaker at conferences on family law. Rachael was one of the founder members of what has become FLAGS and has subsequently been involved in training arbitrators in Scotland and abroad. She was the first person to act as an Arbitrator under the FLAGS scheme. Rachael is named in the current edition of the Legal 500 as one of the three leading family lawyers in Scotland. She splits her time between Edinburgh and London. Rachael is particularly alive to the benefits of arbitration as a way of resolving intractable disputes - offering, as it does, a swift, flexible, cost-effective and discreet determination. It is ideal where parties are stuck and can’t reach agreement, but share concerns about the court process- whether those concerns relate to who will make the decision in their case; how public the process will be; the lack of control over costs and/or the inflexibility of the court timetable. Lesley is ranked in band 1 by Chambers UK legal directory and is accredited as a specialist in family law. She is considered one of the leading experts in Scotland. Rated highly by peers and clients alike, one source comments: “She has financial knowledge and gravitas. I think she is faultless” (Chambers UK). 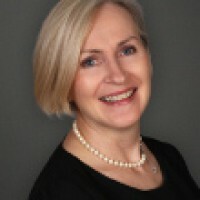 Lesley has all round expertise in the various dispute resolution models and she is committed to helping families transition separation and divorce in a cost effective and child focussed way. She has particular experience in cases involving pensions and the interface between businesses and family law. Isabella practices within the areas of child and family law, undertaking cases across the spectrum of disputes arising in these areas. She has considerable experience of appearing in court and has appeared in sheriff courts across Scotland, the Court of Session (both Inner and Outer House) and the House of Lords. Isabella was among the first group of family lawyers in Scotland to undertake family law arbitration training and now participates in the national committee of FLAGS. Although she lives in Aberdeen, she is in Edinburgh most weeks and undertakes work across Scotland. 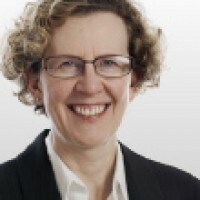 Fiona is a partner with Gibson Kerr and head Gibson Kerr’s family law team. She is accredited by the Law Society of Scotland as a specialist in family law and as a family mediator. Fiona is a trained collaborative lawyer. She has over 25 years’ experience in all aspects of family law both in relation to litigation and in the negotiation of family disputes. She deals with financial disputes and with disputes regarding children. Fiona practises exclusively in family law and is committed to working with clients to achieve a constructive and workable solution for them and their family. Fiona is a solicitor advocate specialising in family and children law. She has rights of audience in the Court of Session and UK Supreme Court, and acts as a reporter in child cases in the Sheriffdom of Lothian & Borders. She has particular expertise in high conflict divorces and separations involving children (particularly where abuse is suspected or abduction is feared) as well as drafting pre-nuptial agreements and post separation agreements involving significant assets. Fiona qualified as a solicitor in 1985 and as a solicitor advocate in 2001. She became an accredited specialist in family law in 2008. 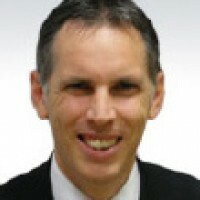 Graham has more than twenty five years of experience in family law. He heads a team of family lawyers in Thorntons’ Perth office dealing with all family issues including residence and contact, as well as financial provision. A past Chair of the Family Law Association, Graham is trained in collaborative family law as well as in family law arbitration. He focuses on trying to resolve disputes between parties amicably where at all possible but when that cannot be achieved will make full use of other avenues such as arbitration or court action. He is happy to act as an arbitrator in any area of family law. Graham is FLAGS Tayside, Central and Fife pod leader. Caroline has been a Partner in the firm of Ross & Connel, Dunfermline since 1990. She has specialised in family law since then. 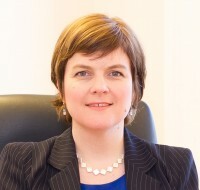 She has been accredited as a specialist in family law by The Law Society of Scotland since 1996 and has a particular interest in alternate dispute resolution. Marion’s focus is on helping clients choose the appropriate way to resolve their disputes taking into account their best interests. 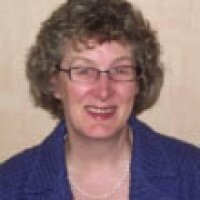 Marion has practiced as a solicitor in Aberdeen in the field of family law for many years. She has been accredited as a specialist in family law by the Law Society of Scotland since 2003. She is also a trained commercial mediator, a family collaborative solicitor, and sits as a part time sheriff. She is an Arbitrator with FLAGS. Gillian is a partner in the Family Law Team at Turcan Connell. She practises exclusively in family law and has a keen interest in all things ADR. She is a mediator and was one of the first in Scotland to train in Collaborative law and as a FLAGs arbitrator. She deals mainly with high-net-worth cases, litigating in the Court of Session and Sheriff Court as required, but works hard to resolve her cases without the need to go to court. She is frequently instructed in cases involving the breakdown of cohabitation and those involving the relocation of children. With more than 25 years’ experience as a qualified solicitor, Siobhán heads the Family Law Team in BLM.This is the firm born out of the combination of HBM Sayers and Berrymans Lace Mawer in May 2014. Siobhan's practice is wide ranging from cases involving financial provision upon divorce and in cohabitation to processes involving international relocation of children. She is often instructed by the Court as a curator ad litem to children acting as their voice or their intermediary or making recommendations about their future care and upbringing. 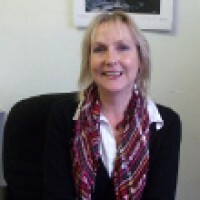 Janys Scott is an experienced family law practitioner. As a QC she deals with a wide variety of financial provision and children's cases, many of which feature in the law reports. She is also a part-time sheriff and well used to adjudicating on contested issues. 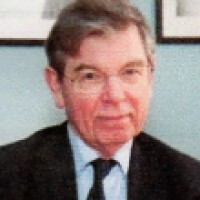 Lord Hamilton has had a most distinguished career, both in practice at the Bar and as a judge. He studied at the Universities of Glasgow, Oxford and Edinburgh. He was admitted to the Faculty of Advocates in 1968, and became a Queen’s Counsel in 1982. He was appointed as a judge of the Court of Session in 1995, and subsequently served as the principal commercial court judge. In 2002, he was appointed to the Inner House of the Court of Session. In 2005, he took office as Lord Justice General of Scotland and Lord President of the Court of Session, and served in these roles until 2012. He also currently serves as a justice of appeal of the Court of Appeal of Botswana (that country's supreme court) and is a member of the Supplementary Panel of the Supreme Court of the United Kingdom. Lord Hamilton has joined Axiom Advocates for the purpose of conducting arbitrations, both domestic and international. He had direct experience in that field while in practice as Queen's Counsel. He is also a member of FLAGS (Family Law Arbitration Group Scotland). 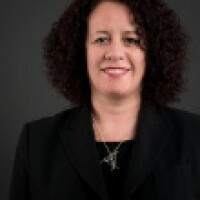 Judith is partner in charge of the Family Law team of Taggart Meil Mathers. She is accredited as a specialist in Family Law and as a Family Law Mediator by the Law Society of Scotland. She promotes the use of alternative methods of dispute resolution and is trained as a collaborative lawyer. She litigates family cases where required. 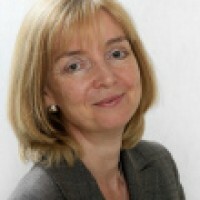 Judith is a committee member of the Scottish Family Law Association and Consensus. Director at Wright & Crawford solicitors (est 1906) a progressive multi-disciplinary practice . Denise is head of Family Law team and offers the full range of alternative dispute resolution methods. –Accredited family law specialist, accredited mediator, collaborative qualified and FLAGS arbitrator. Focus on getting clients to a speedy resolution in a civilised context . Hilary is the head of the Family Law Department at Grant Smith Law Practice. She has a wealth of experience in a variety of child and family law cases. She is accredited by the Law Society of Scotland as a Specialist in Family Law, Child Law and as a Family Law Mediator and regularly receives instructions from courts to act as a curator ad litem in cases involving children and reporting officer in adoption cases. Although based in our Turriff office, Hilary manages family law cases throughout our network of branches in Aberdeen, Banff, MacDuff, Buckie and Turriff. Fiona is a very experienced family law solicitor, accredited as a specialist by the Law Society of Scotland. She is well known for her robust support of her client's, her practical and realistic advice to them and her grasp of technical business complexities on separation. Hers is a hands on and solutions based practice. Fiona is lead partner of the very well respected Morton Fraser Glasgow Family Law Team. She is media savvy (@fifisasan) but also a firm believer in treating all of her cases with the utmost discretion. A trained Collaborative lawyer, experienced litigator and advisor, she brings the ideal skills set to any arbitration environment. Fiona is FLAGS Glasgow pod leader. John returned to practice at the Bar in August 2016 after a spell working as a family law and litigation partner in a busy Highland practice. Since calling in 2005, John has received a wide variety of repeat instructions with particular emphasis on family and child law. John was one of the first group of lawyers in Scotland to be accredited as an arbitrator by the Family Law Arbitration Group Scotland (FLAGs) www.flagsarb.com which offers parties a less formalistic and more cost-effective means of dispute resolution where they have been unable to agree a solution by either negotiation and/or mediation. Prior to calling at the Bar, John ran his own business as a proprietor/pharmacist of two pharmacies in the north of Scotland. After retraining as a lawyer, he specialised in corporate and commercial law, latterly acting for both private and public organisations on the Private Finance Initiative. Born in West Lothian, Director Angela Simpson joined Innes & Mackay in 2002. Angela studied at Aberdeen University, and was a partner at another local law firm for 15 years prior to joining Innes & Mackay. Angela specialises in Family Law including divorce, separation and child-related issues. She is regularly instructed by the Court to prepare Reports dealing with residence and contact matters and appointed as a Curator ad litem to preserve and protect children's interests during Court proceedings. She is accredited by the Law Society of Scotland as a Family Law Mediator and is a member of the Family Law Association. She is also an accredited Family Law specialist and qualified Family Law arbitrator and a qualified collaborative lawyer. 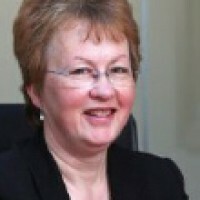 She is a member of FLAGS, the Family Law Arbitration Group Scotland [www.flagscotland.com], and is also a Notary Public. In her free time Angela enjoys keeping fit, and loves to cook. Jennifer is accredited as a Specialist in Family Law by the Law Society of Scotland. She qualified as a solicitor in 2006, joining Gillespie Macandrew in 2017. 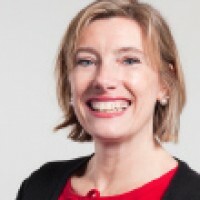 She is also a qualified collaborative lawyer and member of Consensus Collaboration Scotland, and a member of the Family Law Association and the International Academy of Collaborative Professionals (IACP). Her practice principally focuses on financial issues arising from relationships, separation, divorce and dissolution and complex child law matters. Karen is a partner at Family Law Matters Scotland. A graduate of Glasgow University, she qualified as a solicitor in 1992. She is accredited by the Law Society of Scotland as a specialist in both Family and Child Law, and is trained in collaborative practice. Karen particularly enjoys work with an international dimension, and has been instructed by the Scottish Government in a number of international child abduction cases. She also tutors in family law at Glasgow University. As well as FLAGS, Karen is a member of the Family Law Association, Consensus Scotland, and the Glasgow Bar Association. Lorna is a partner in Patience & Buchan, an award winning niche practice providing expert advice and assistance in all areas of family law, with particular expertise in high value financial cases and disputes involving children. Having specialised in family law since 1995, she has been an accredited specialist in family law, child law and a family law mediator for a number of years. Lorna also practises collaborative family law. A well regarded and highly experienced practitioner. Desmond has a wide ranging practice but is best known for his family law expertise in high value cases. He is frequently instructed in both the Court of Session and Sheriff Courts and is known for his easy manner as well as formidable court room skills. Recently instructed in a number of cases under the Proceeds of Crime Act 2002, he combines this work with an extensive practice in contractual disputes. He is also known for his expertise in trademark and copyright law. Desmond has a diploma in European Competition Law from the University of Amsterdam. He is a fluent French speaker. 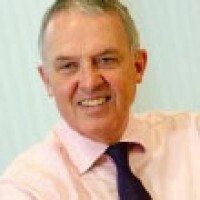 Available for direct instruction, David Jack is Chairman of the Family Law Arbitration Group, Scotland. As a trained arbitrator in family law he is also a registered Arbitrator and Expert Determiner in Child and Family Law within the Faculty of Advocates Dispute Resolution Service. In 2004 he was appointed an ad hoc advocate depute. In 2011 he was appointed as a lay representative to the Children’s’ Hearing System. He has lengthy experience of decision making and fact finding stemming from appointments by the court, and from over 20 years of a court based family law practice as an Advocate. John is recognised as one of the pre-eminent counsel in family law. This recognition is reflected consistently in editorial comment in the Legal 500 and Chambers directories and by his regular instruction in demanding, complex and high profile cases in the areas of financial provision and child law. John is accredited as a mediator and is a member of the Faculty of Advocates Dispute Resolution Service. 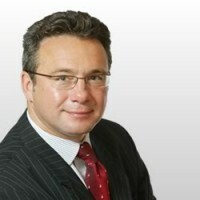 John has wide experience of other areas of law in including medical negligence and criminal law. John can offer a firm, knowledgeable and judicious service as an arbitrator in all areas of family law. Alasdair heads Turcan Connell's Divorce and Family Law Team. Acknowledged as one of Scotland's leading Family Law practitioners, he is particularly well known for his expertise in negotiating separation agreements for high net worth individuals. Alasdair has extensive experience of dealing with complex financial issues including business valuations, share option schemes and pension schemes. He has expertise in the preparation of prenuptial and cohabitation agreements and frequently advises on difficult issues which arise in relation to the residence of children, including relocation cases. Alasdair also has considerable experience in managing the cross-border aspects of cases involving international jurisdictional issues. 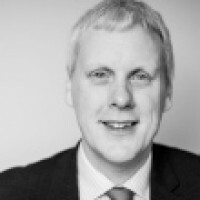 A vastly experienced solicitor Shaun has practised family law for more than 25 years. He heads the Brodies’ Family team which is the largest in Scotland. Shaun advises on all aspects of family law but has particular expertise in high value financial provision on divorce cases, often involving assets held overseas. He is accredited by the Law Society of Scotland as a specialist in family law and also as a family law mediator. Shaun was among the first group of family lawyers in Scotland to undergo FLAGS training as an arbitrator. He is the FLAGS’ North East pod leader. A leading proponent of Collaborative practice, Shaun regularly deals with Collaborative family law cases. He sits on the National Committee of Consensus Collaboration Scotland and has been involved in the setting up of a European Collaborative Practice group. Shaun is one of only three family law solicitors in Scotland ranked as leading individuals by Legal 500 2017. Sorry, no arbitrators match your filters.